The fourth book in the Harry Potter series. Harry Potter y el cáliz de fuego is written entirely in Spanish as it is aimed at native speakers. 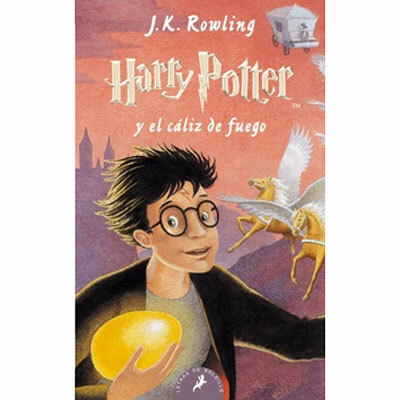 It would suit a fluent Spanish reader age 9+. This book is published in Spain and uses Castilian (European) Spanish.